We like to do everything we can outdoors, that's why when the sun comes out we start to host our monthly BBQs. 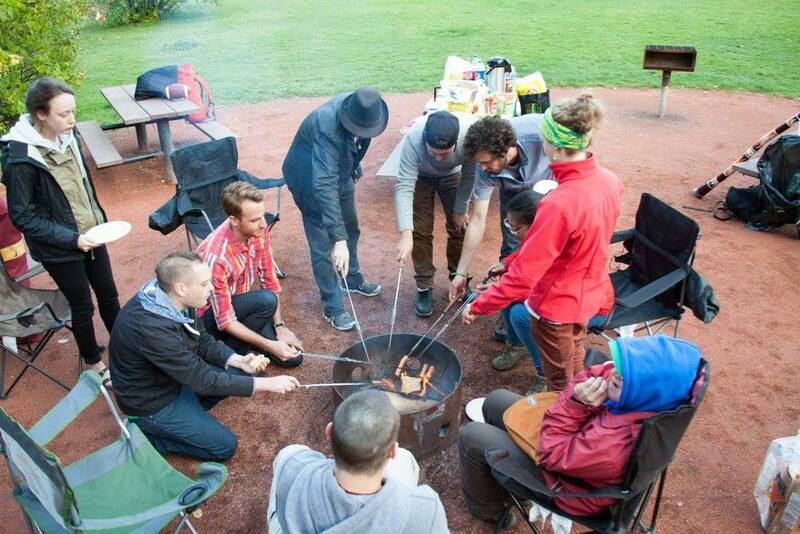 Running from April until September, our BBQs are geared at gathering together for food, music and games. 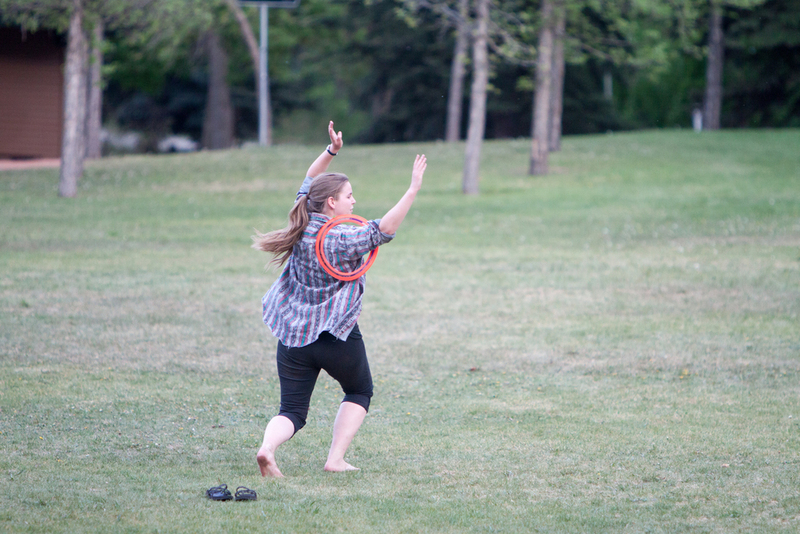 The BBQs start at 5 p.m. and run until about 9 p.m. in Edowrthy Park at Picnic Site #2. For a full list of dates check out the events calendar! There is no commitment to the Campus Ministry's BBQs. They are free events, open to all young adults between 17 and 30, and all the food, games, and music is provided. This is also a spiritual but not religious event, focused on bringing people together over the campfire. 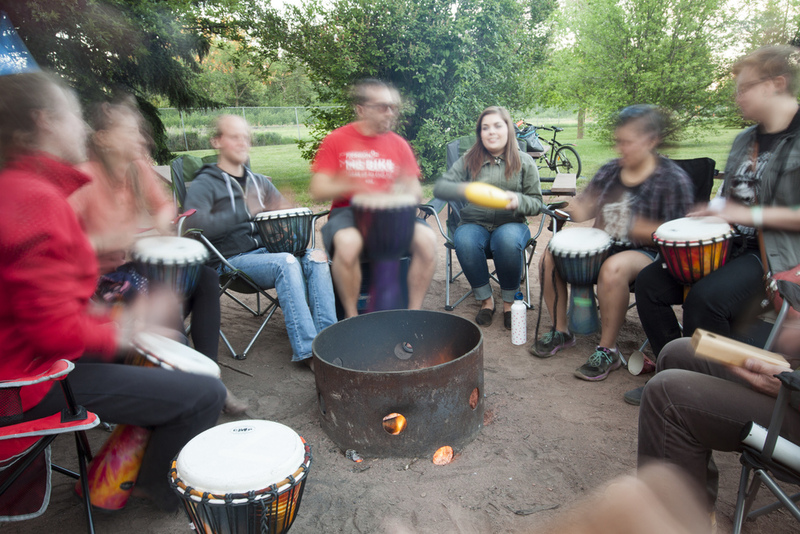 We bring drums (because we can't go anywhere without our drums), lots of food, camp chairs, frisbees, soccer balls, and lots of other great games to play. 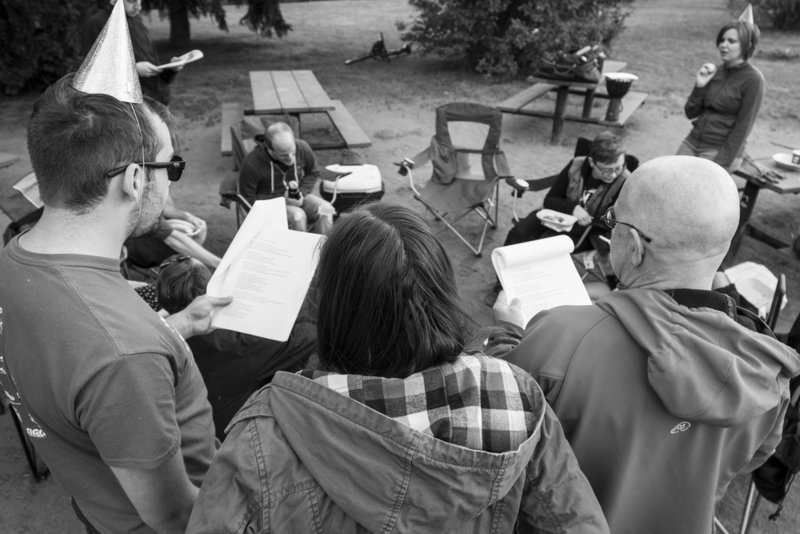 We have also crafted our own campfire song-book that we break out around the fire, complete with guitar. 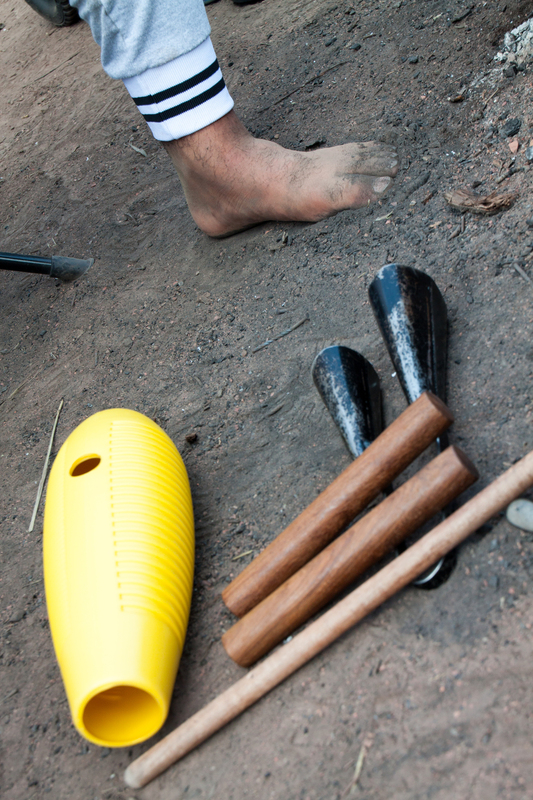 But we love it when people bring out their own games and instruments as well, so if you are coming please bring whatever you love to have around the fire (as this is a public park, please no alcohol). YYC Campus Ministry started running these BBQs for one reason, we missed the amazing people we worked with through the school year. We found that we were losing contact with some of the fantastic people we had begun to get to know, and wanted to create a relaxed event where we could meet, smile, reconnect, and (of course) enjoy some good conversation over food. 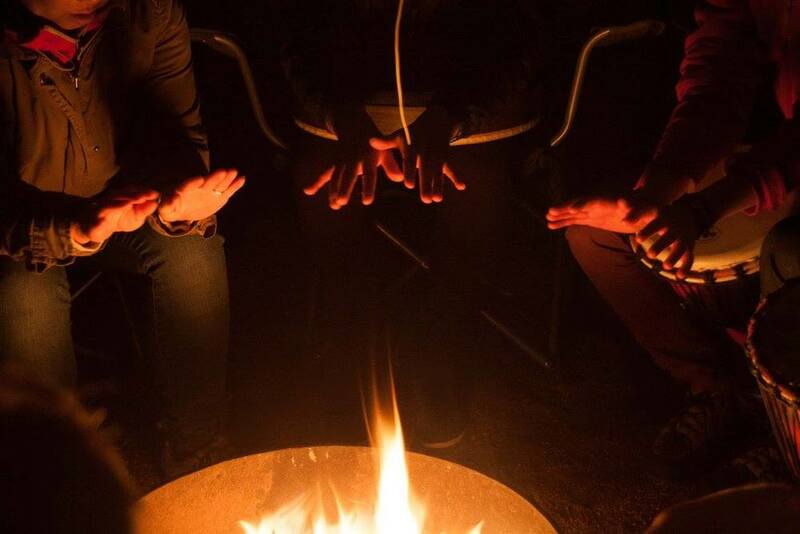 If you love a good campfire, are missing great conversation, want a free meal, or just love to toss a frisbee then join us for one of our fantastic BBQs. Follow along on our Facebook page to keep up to date and make sure you won't miss the next one!